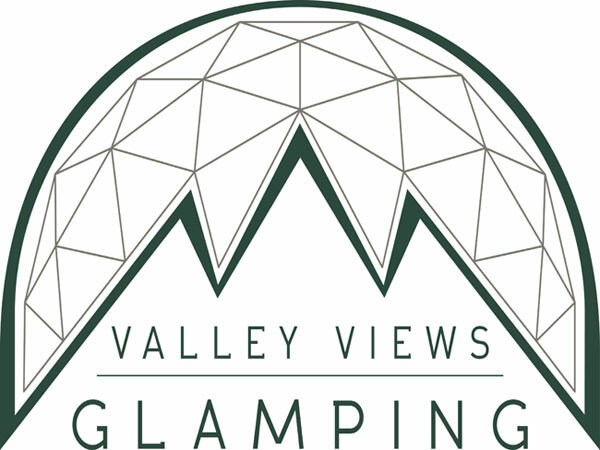 Valley Views Glamping takes camping to an exciting new level. 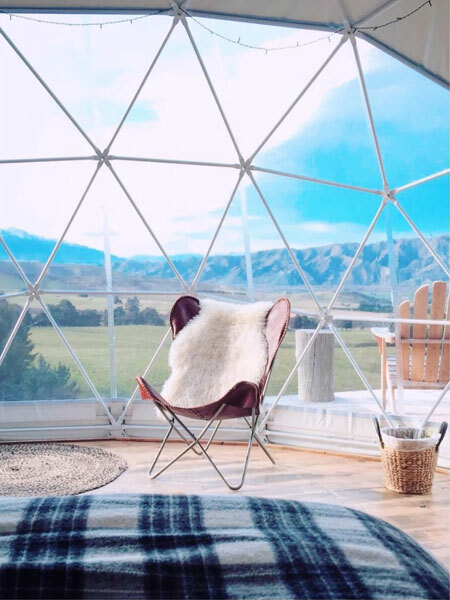 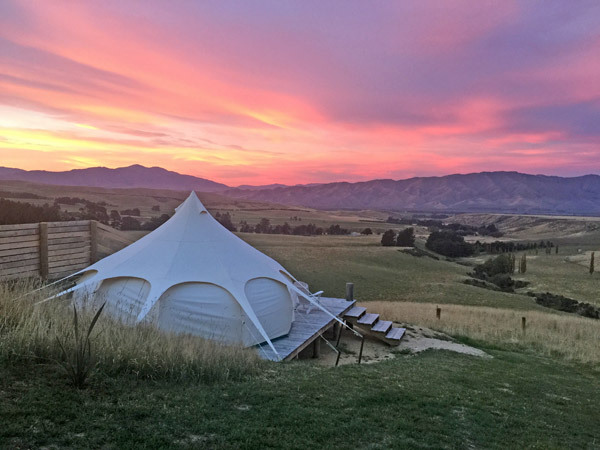 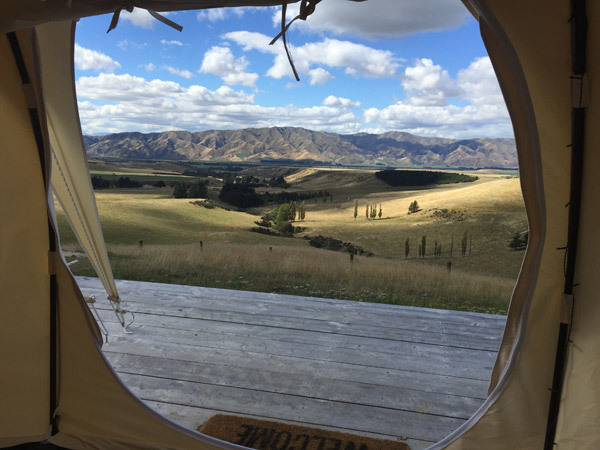 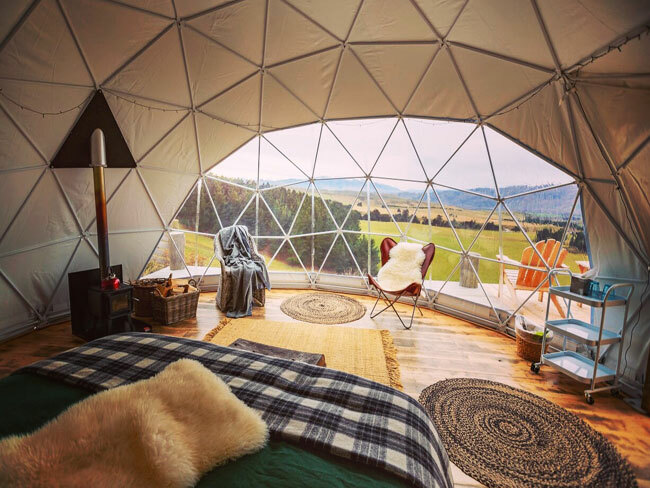 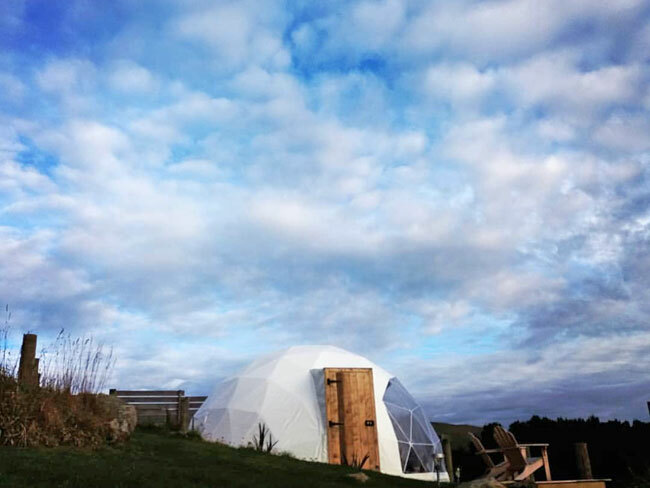 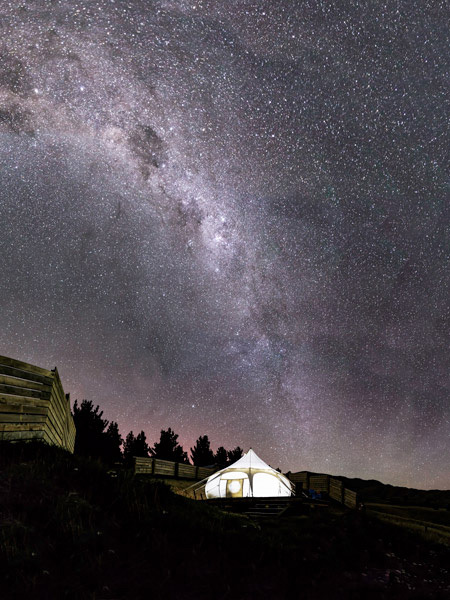 It provides 'glamorous camping' in luxury geodesic dome and lotus belle tents nestled into the foothills of Mt Domett overlooking the Waitaki Valley, only eight kilometres from the Alps to Ocean Cycle Trail. 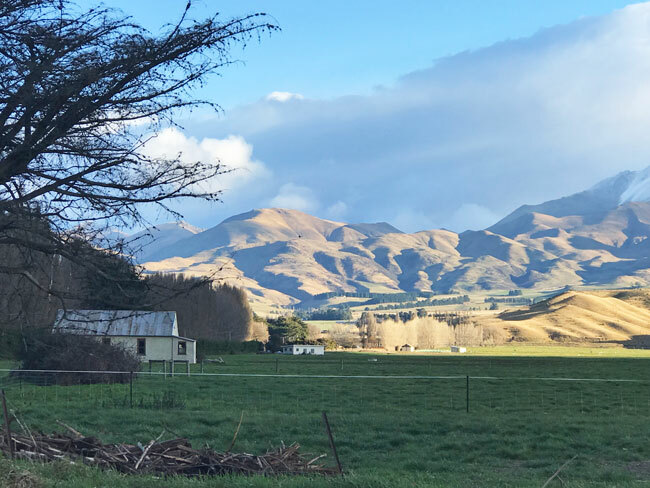 Situated on a working beef cattle farm twelve km from Kurow, guests will enjoy delicious home-style meals; or, if preferred, there are self-catering facilities. 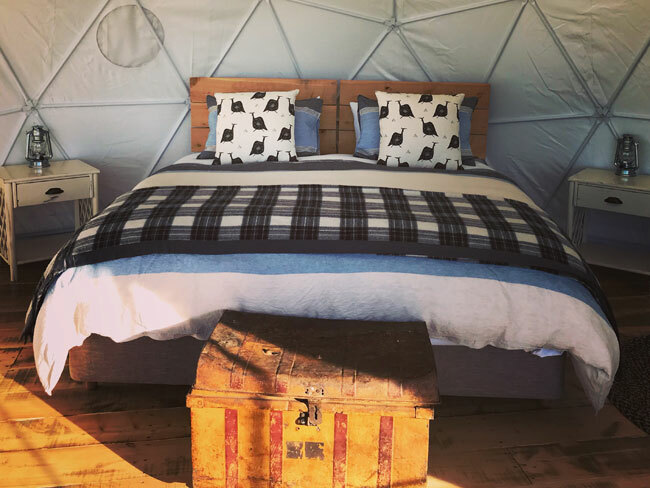 Guests will love the comfort and warmth of 3 luxury geodesic dome tents; each with super king-sized beds, 2 lotus belle tents which have king beds, and 1 cabin. 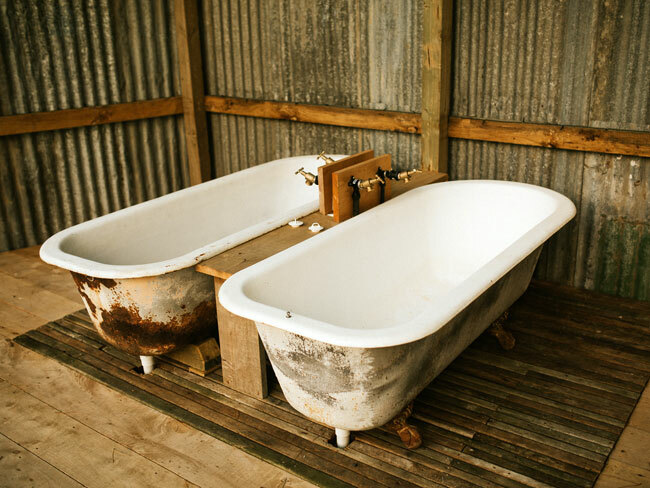 The beds are super comfy with beautiful linen and cosy down duvets. 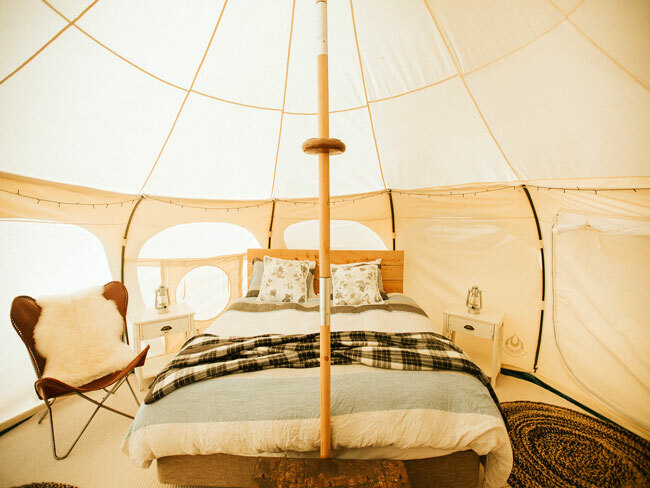 Each tent and cabin is provided with fairy lights, seating, side tables and lamps, and cell phone chargers. 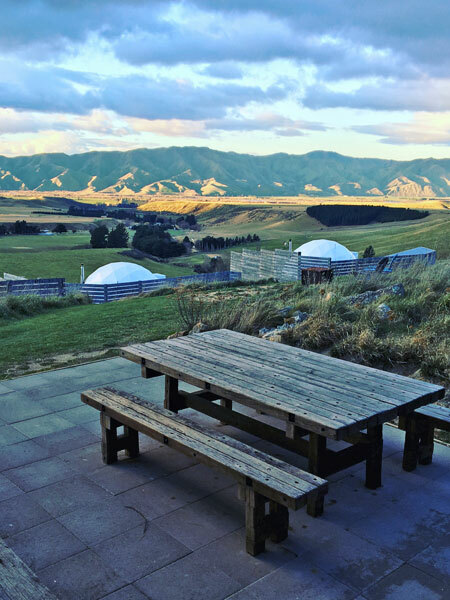 Guests can enjoy the incredible views from their own private decking. 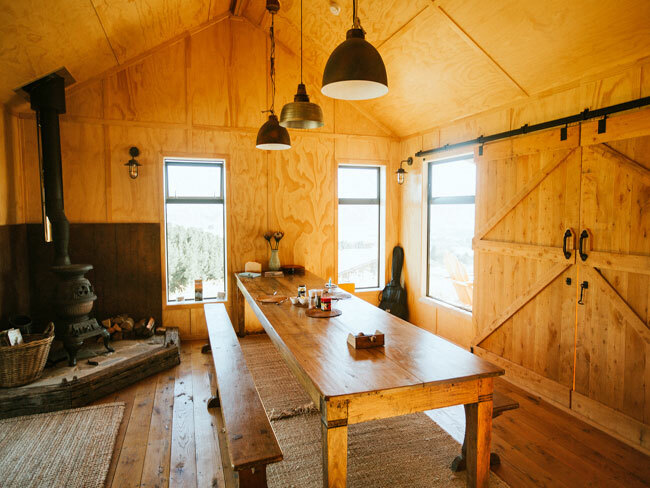 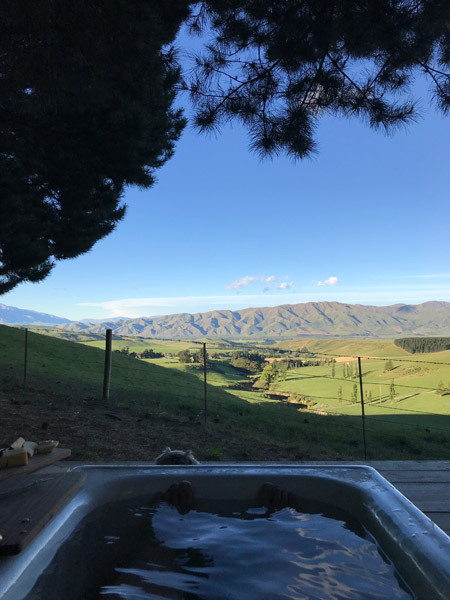 A stylish eco-lodge with indoor and outdoor dining areas overlooks the beautiful Waitaki Valley with shared facilities, and for a completely amazing experience 4 outdoor baths in the pine forest. 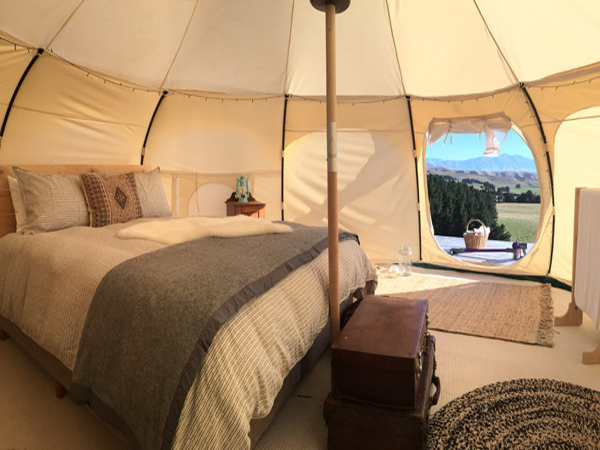 This is one of the hidden gems of New Zealand’s South Island!